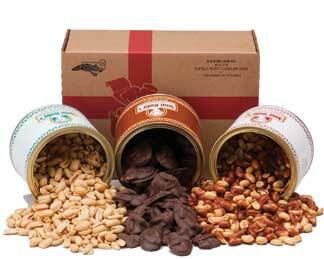 These three products..chocolate covered clusters, country style peanuts, and roasted redskins...are neatly tied together in this gift idea. The roasted redskins can be substituted out for either a honey roasted or cashew. I tried your country style peanuts at a friends house and couldn't stop eating them. They are so fresh and have a distinct taste that I love!! 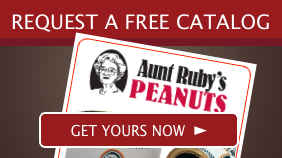 I am excited to share these peanuts with others.